The images of the recent floods overtaking Boston’s waterfront aren’t easy to forget. But the need for resiliency isn’t limited to the coast. That’s why the Mystic River Watershed Association is expanding its mission to help the 21 cities and towns in its coverage area better handle flooding and drought caused by climate change. Boston has been at this for years, with its Green Ribbon Commission and Climate Ready Boston initiatives. Municipal leaders along the Mystic and its tributaries know they need to do something, too. The Barr Foundation, funded by the Hostetter family, has been a key backer of Boston’s resiliency efforts. It has since widened its scope beyond the city limits to include the broader region. One example: The foundation just awarded a $115,000 grant to the Mystic group. With that money in hand, Julie Wormser is joining as deputy director, on a full-time basis. Wormser used to be executive director of the former Boston Harbor Association. Now she’ll focus on river flows as well as waves and tides. 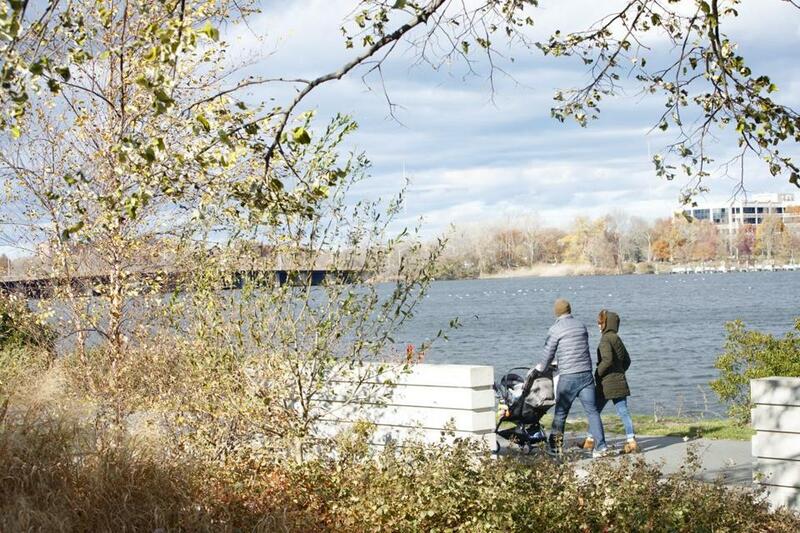 To the west, the Charles River Watershed Association is already engaged: It’s looking at places to restore buried wetlands, and has developed a model for small-scale wastewater treatment plants. However, many smaller cities and towns are just waking up to this issue. Of particular concern to the Mystic River folks: Protecting all those fuel tanks near the lower Mystic from future storms. But the entire watershed is densely developed; Wormser says the association will act as a convener to bring together cities and towns to strategize for future floods, identifying vulnerabilities and applying for grants and loans to shore things up. Water doesn’t recognize municipal borders. Civic leaders are realizing that the best responses to climate-change threats will be regional ones.